Just because an exotic plant native to some remote Pacific island could not possibly survive a temperate weather with its unavoidable cold rains and snows didn’t mean that enthusiastic botanists didn’t try their best to find ways to keep their hobbies alive. Greenhouses were already being built in the 13th century, but even the ancient Roman new a thing or two about growing plants in controlled spaces. Nowadays, you can find industrial sized greenhouses in many countries (Holland has some of the biggest greenhouses in the world), but it’s the greenhouses that were built for fun, style, or science that are really worth visiting. Here are some of the most fascinating greenhouses from around the world that make visit-worthy travel attractions. The park of the Royal Castle of Laeken in Belgium is home to one of the vastest and most complex greenhouses in the world, built in the 19th century at the order of King Leopold II of Belgium. In good old Victorian style, these greenhouses are more than just about function – their elegant design is a huge part of their appeal. 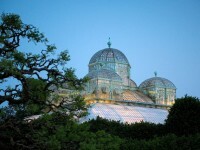 The centerpiece of the garden is the Iron Church, a monumental dome of glass and forged glass. 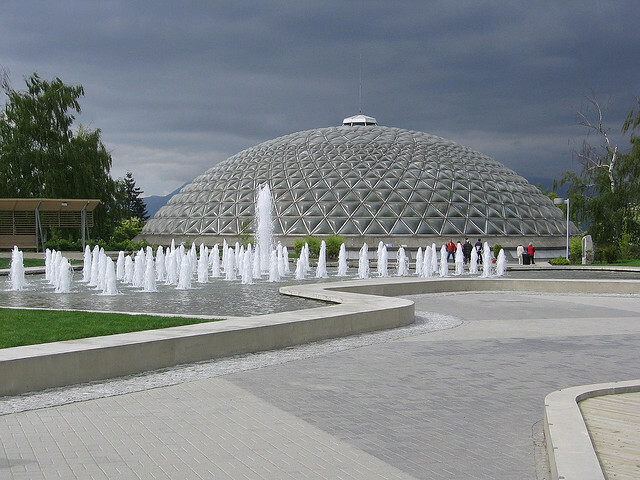 Bloedel Floral Conservatory is one of the attractions in Vancouver that you can visit regardless of when you visit the city. 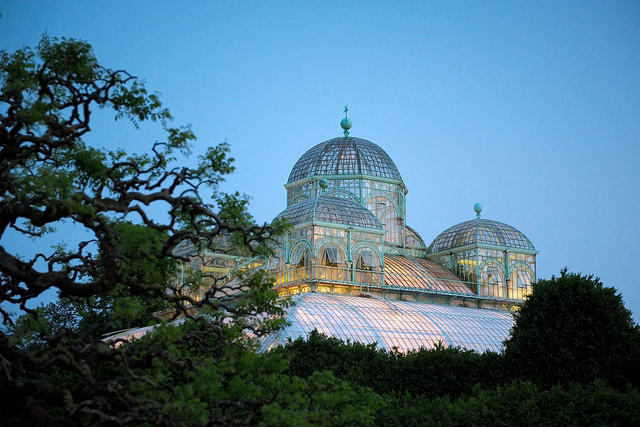 The conservatory is open all week long, and closes only one day per year, on Christmas. Plus, the very small admission fee does not do justice to sheer size of it. Over a hundred species of birds fly freely around the conservatory, there are even some fish ponds, and five hundred species of plants like bougainvillea, magnolia, yucca, pteris, figs etc. The Eden Project in Cornwall has the single largest greenhouse on the planet, and in addition to the incredible number of plant species grown in the two enclosures, the greenhouses look like something out of a science fiction film. 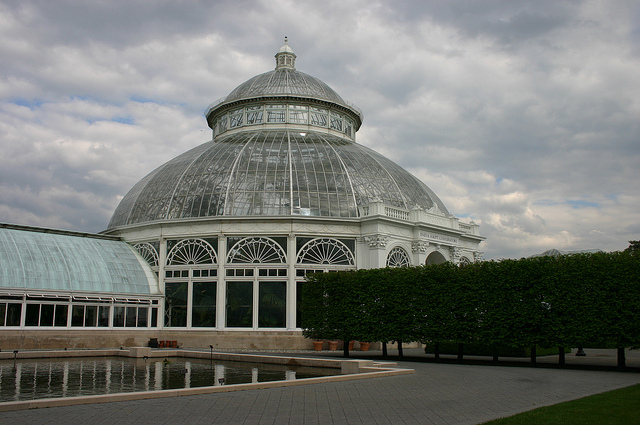 The two greenhouses clusters of adjoining dome-shaped structures, each of them housing a different biome. Watch out for unusual statues, like a giant bee or a huge robot made of junk. 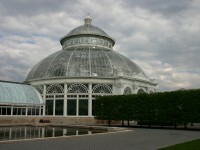 The Haupt Conservatory is the largest Victorian glasshouse in the US, and home to 66 plants from all around the world. 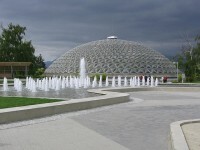 The conservatory has several pavilions , each dedicated to a different biome. Most of the greenhouse’s collection can be admired all year round, but there are temporary shows that are also worth seeing, like the spring orchid show when thousands of orchids supplement the existing collection. The Great Glasshouse designed by Norman Foster is the largest single span structure of its kind in the world, built out of 785 glass panes, and housing plants from the Mediterranean region, Chile, California Australia and South Africa. On the outside, the great dome looks like a soap bubble in the green Welsh countryside.